Wallpeople has important purposes not only for art but also for the cities its artwork is developed in. 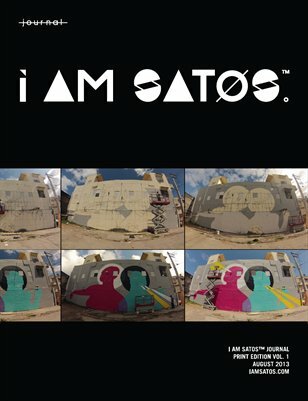 As the project statement says Wallpeople aims to "return the arts to the streets and claim public space as a medium for expression." For Negroni, what is valuable about Wallpeople in San Juan is not so much giving back to art the urban context, but actually the effort of introducing art to the city. Negroni's role with Wallpeople has been to collaborate with the efforts of taking art out to the streets in Puerto Rico. The idea of public space for citizens to express themselves is important and can be presented in many forms. During Wallpeople participants are invited to take an active role in this expression by temporarily adding a medium to an urban wall. Efforts like this one demonstrate the potential of public space for art, yet Negroni's insight about Puerto Rico is that in order to claim this there has to be an understanding from people about the space. "Puerto Rico is already a public space. To be able to say that public space in Puerto Rico is ours for expression, we have to achieve that people understand the potential of public spaces in respect of the place and role they occupy or should occupy in them." Tagged with Art, Wallpeople, Puerto Rico. June 3, 2013 by Mariana Ortiz-Reyes.